Blu-Ray News #138: Freebie And The Bean (1974). 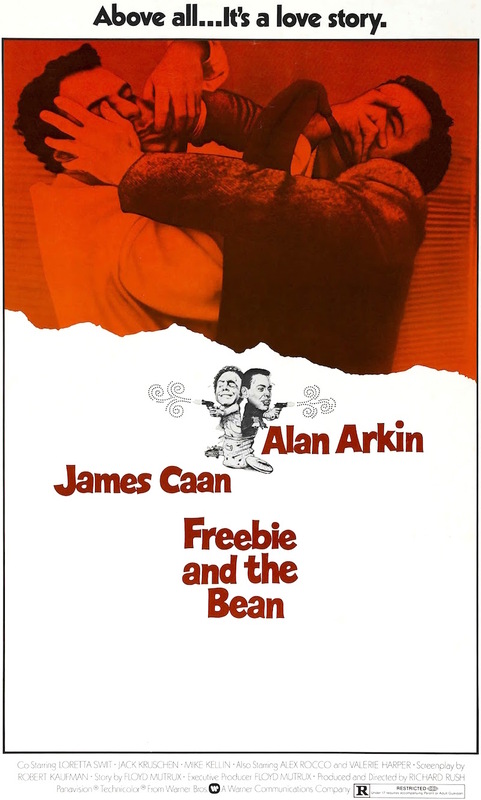 Warner Archive has announced Freebie And The Bean (1974) for an upcoming Blu-Ray release. Some will probably ask why. This highly un-PC movie, which switches from violent action flick to comedy almost frame by frame, divides film fans more than about movie I can think of (those that even remember it). Many hate it for the reasons I just listed. Me, I love it — partly for those same things. But there’s more to it than that. It’s a master class in vehicular stunts — they tear up a lot of cars in this thing, and it always looks like actual pedestrians are in real peril. It’s got both Alex Rocco and Paul Koslo in it. Alan Arkin is as good as ever, and James Caan was on a real roll at this time — The Godfather (1972), Slither (1973, a personal favorite), The Gambler (1974), The Godfather: Part II (1974) and Rollerball (1975). 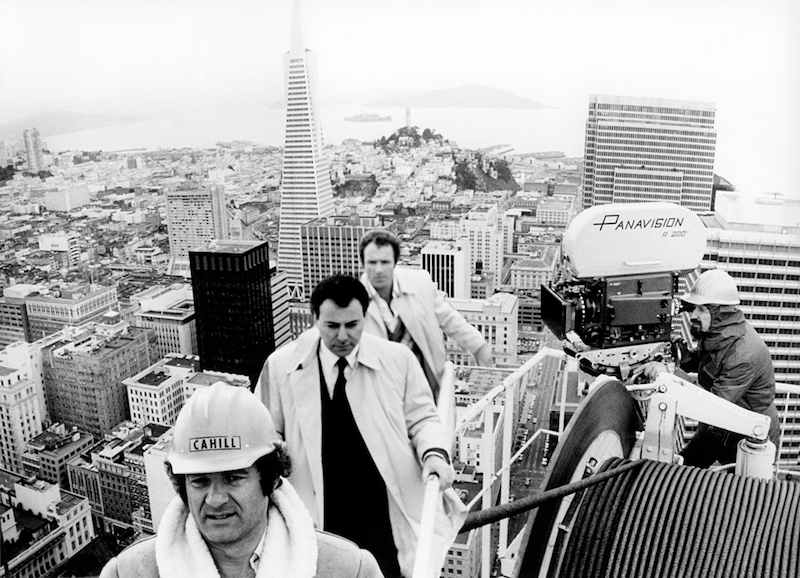 Laszlo Kovacs (behind camera) shooting Arkin and Caan on a construction crane. What’s more, the Blu-Ray will give us a chance to really appreciate Laszlo Kovacs’ Panavision San Francisco photography, which takes us to places you don’t see in more scenic SF films like Vertigo (1958), Bullitt (1968) and What’s Up, Doc? (1972). It’s a great-looking, gritty movie. And, in my opinion, it’s a thousand times better than the cop/buddy movies that came later, like those Lethal Weapon things. I can’t wait to see it in high definition.